Today is the finale of my Kids’ Party Planning 101 series (part 1, part 2, part 3) and appropriately, it’s about the end of the party, the dreaded goody bag. The bane of my existence are those plastic character goody bags filled with junk that will end up all over the car or in every toy bin in the house. I practice what I preach so I’m going to give you some great tips that I’ve used over the years that I hope will inspire you to think outside the party bag! When it comes to favors, it’s not really about about quantity or dollar value, think instead about how to present what you are giving. Packaged creatively, a dollar store boa in a clear bag with a cute tag looks like a million bucks. Big box stores like Michael’s and Target have dollar spots that are gold mines when it comes to favor ideas. Don’t forget to think outside the party aisle box. For the construction party I’m working on, I found canvas aprons at The Home Depot for .77 each! 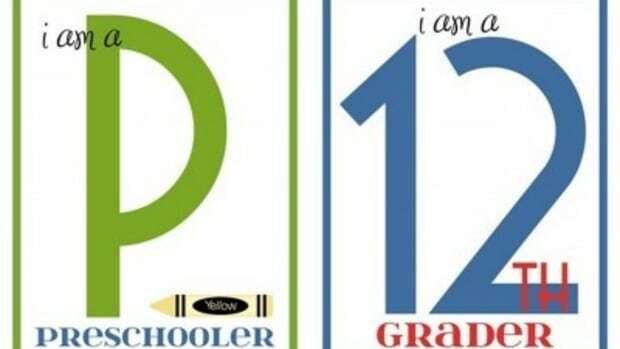 They could be filled with stickers, crayons, plastic rulers, whatever your heart desires. 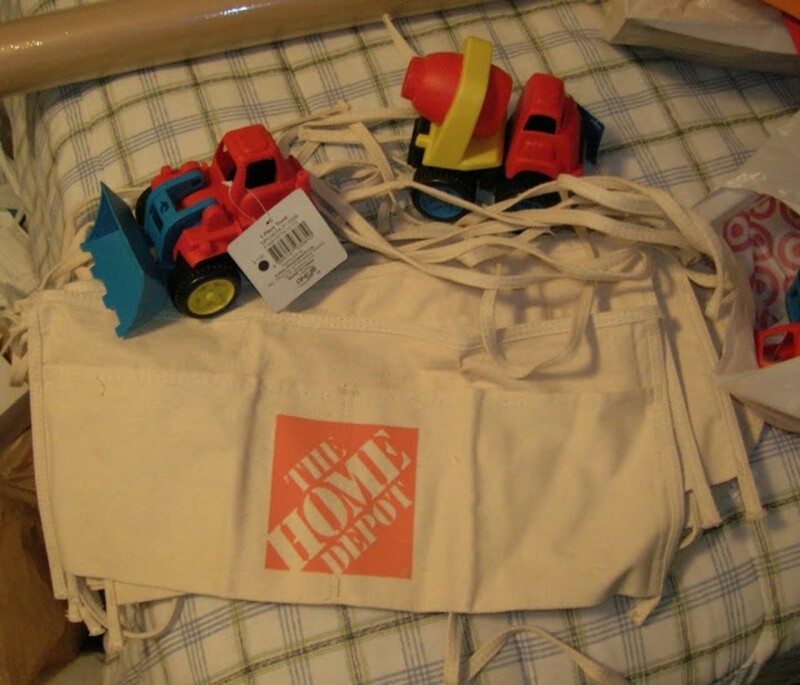 Along with these dump trucks from Target’s Dollar Spot, they are going to provide hours of fun long after the party. 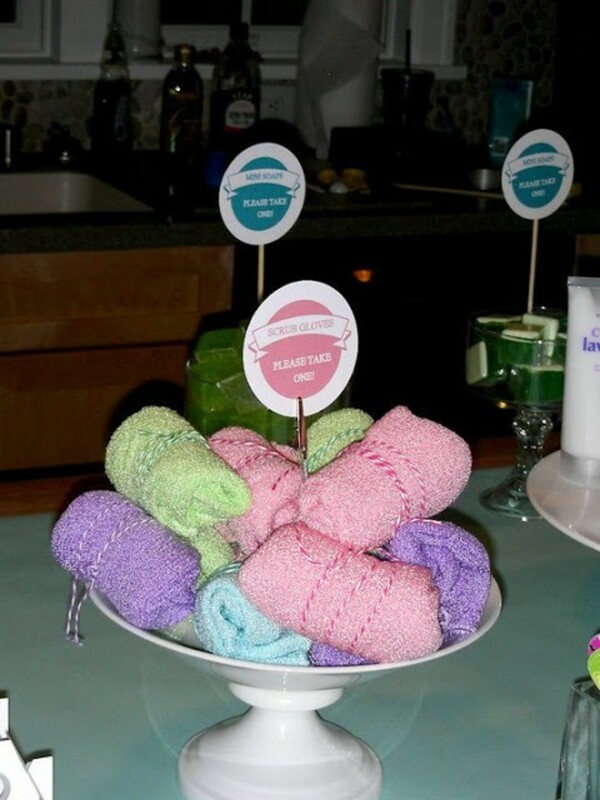 Hosting a spa party? Nail polish and files, toe seperaters, etc. can be stocked up on inexpensively at beauty supply stores. At Michael’s, I found $1 scrub gloves that I rolled and tied with baker’s twine. See how easy it is to make a thoughtful thank you without breaking the bank. Let your theme be your guide; a sports cups filled with markers are perfect for a sports party, while a small sand bucket with a little bag of chalk can top off a beach-themed party. 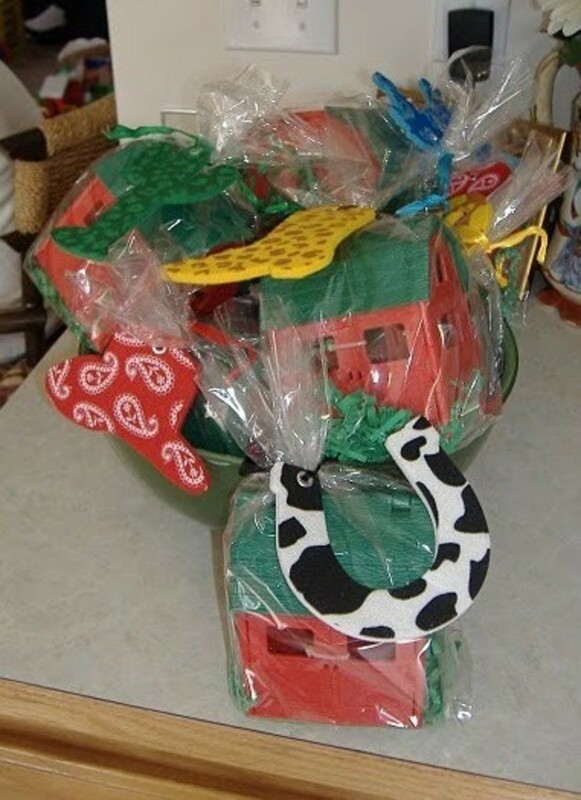 For a farm party, I found plastic barns that I just tied in a clear bag with green shredded paper and finished with a felt tag. For an added treat, we passed out bandanas that went perfect with their paper bag vests they decorated themselves. 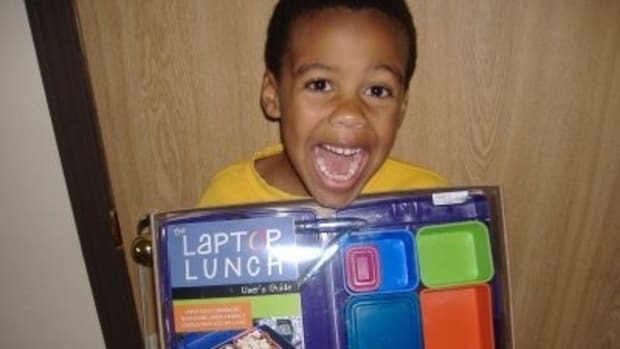 I love, love, love paper lunch sacks. They come in a variety of colors and even brown paper bags can be jazzed up with ribbons and paper. You can even have guests decorating their bags while waiting for everyone to arrive. 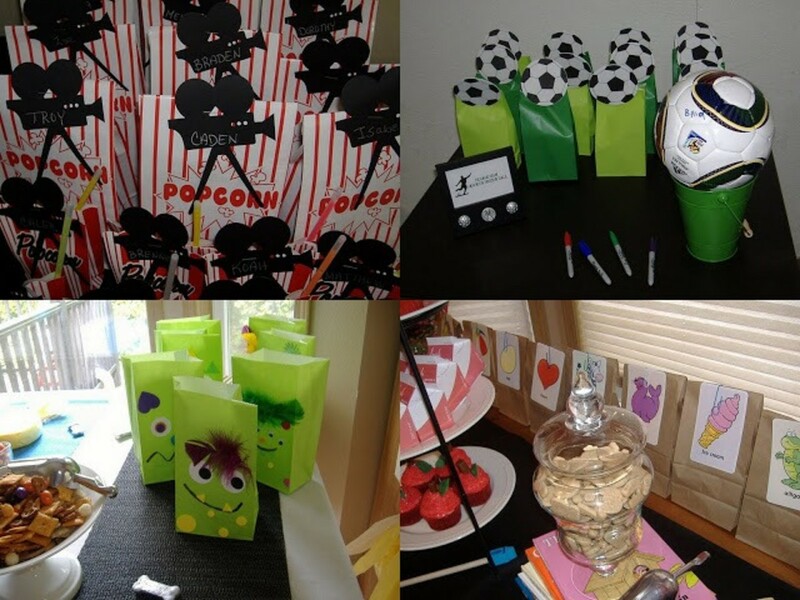 Check out our monster bagsfrom Halloween; a foam soccer ball hot-glued to a clothespin made a perfect topper for our soccer party; a simple flash card on a paper bag for our Back To School Bash, even popcorn bags are perfect for a movie theme. 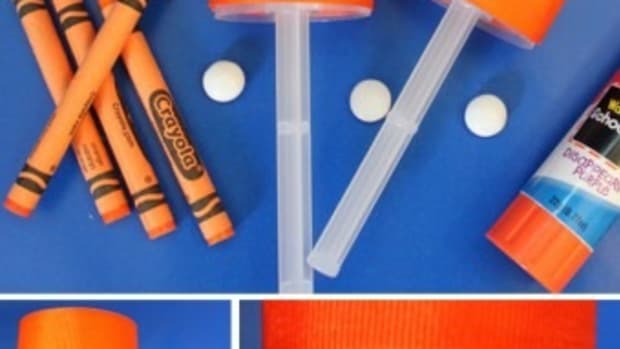 Fill them with perishable treats like cookies or candy or practical goodies like pencils and stickers. Clear containers show off their treasures and are reusable. 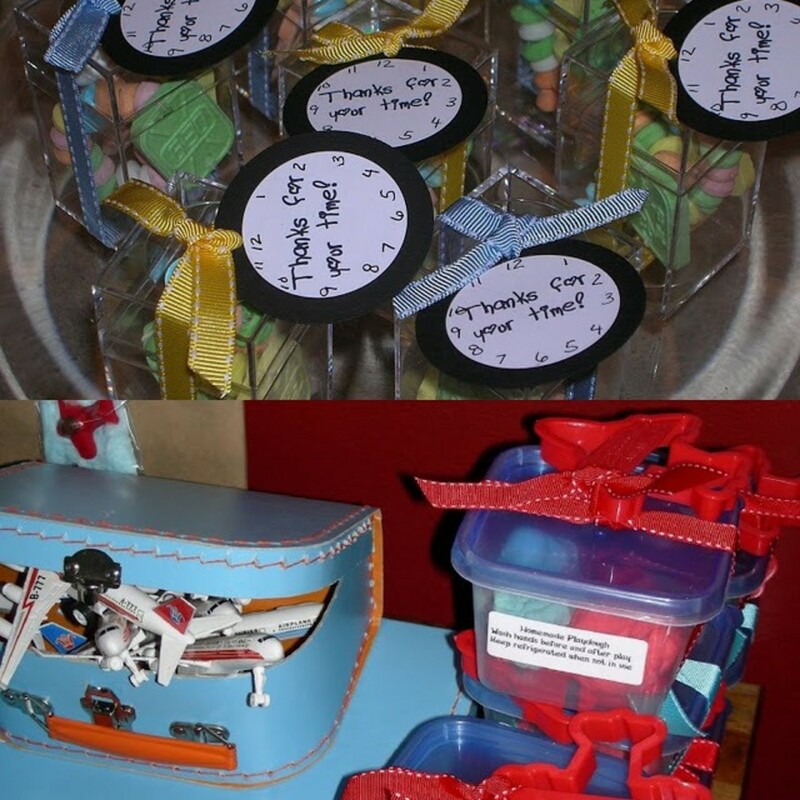 For an Around The Clock baby shower, I used acrylic boxes filled with candy watches and a cute tag. I found the boxes at Michael’s in the wedding section and saved some dough using a 40% off coupon. 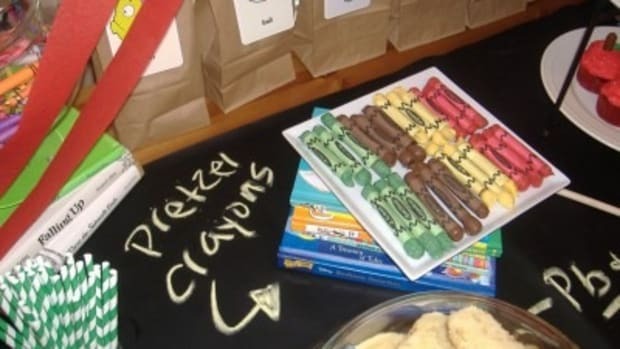 Homemade playdough tied on with a cookie cutter is perfect for a preschool-aged party favor. Once again, the dollar store is your friend, you can find containers of all shapes and sizes. I like my guests to work at our parties; crafts serve as an activity and a take-home favor! There is a craft out there for every theme. Wooden items are my go-to choice; they are so many options and they are inexpensive yet durable and make a lovely keepsake. At both the airplane and Cars party, we painted wooden planes and cars I found at Michael’s. At our Hollywood Dance Party, they made decorated Walk Of Fame Stars. For our Silly Socks Pajama Party, guests decorated plain white socks with puffy paint and made their own body wash. Unfinished wooden frames (a $1 each at Michael’s!) can be painted and decorated with sequins, pom-poms and stickers. 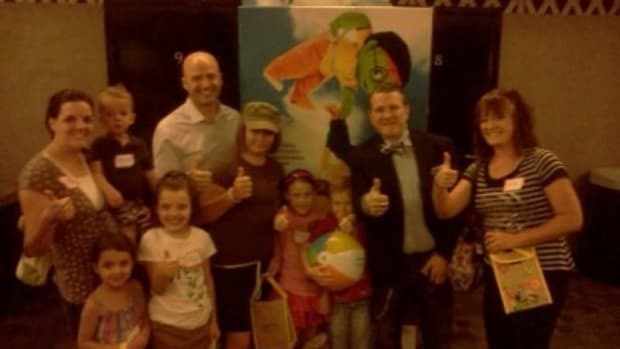 Take a picture of each child at the party and mail it home in their thank you card to add to the frame. A friend recently did this at her Lego party where she took a picture of each child with their Lego creation. 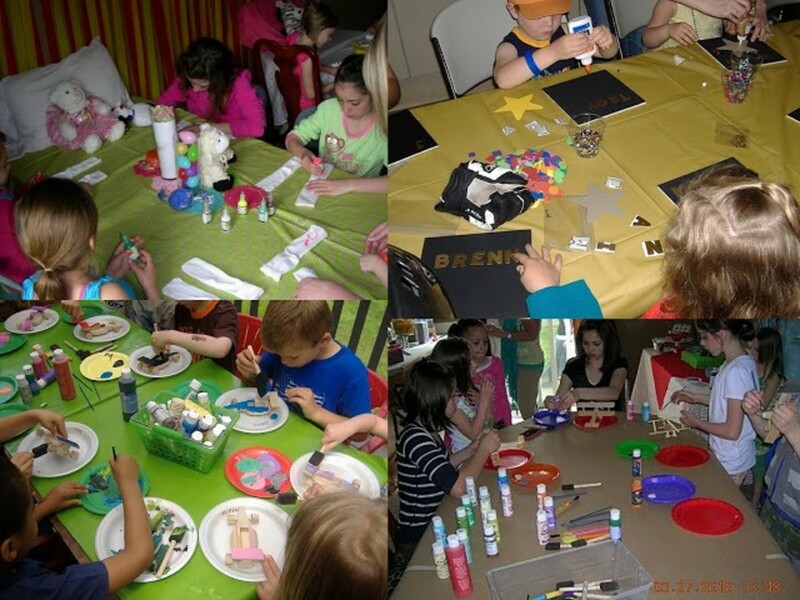 There are so many fun options out there for every type of party and budget. 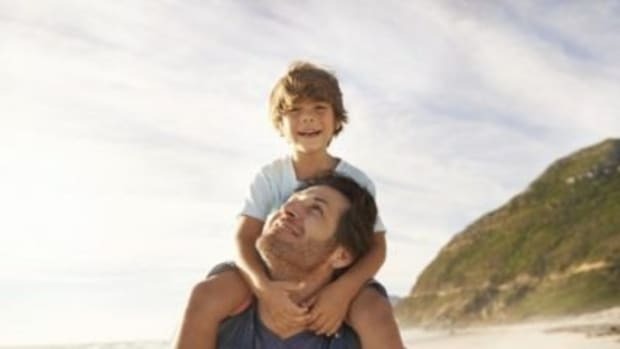 Have fun with it and make it a memorable part of your celebration. A Movie That Is Actually Appropriate For Young Children!